Meet the two new springtime favourites from Starbucks Malaysia - Matcha Azuki Blossom Crème Frappuccino® and Azuki Blossom Crème Frappuccino® blended beverages, which combines two of the most beloved tastes in Asia; Matcha and Azuki (red bean). For the first time in Malaysia, Starbucks will also be offering Coconut Milk at all its stores nationwide. It joins almond milk and soy milk as customisable milk options for its beverages, which will allow customers to rediscover popular favourites like caramel macchiato in its new coconut milk or almond milk form. All beverages are currently available in Starbucks outlets. white and pink rice blossom petals and tart cranberry bites. and red beans – capturing the season’s fleeting beauty in a cup. Malaysia, coconut milk. 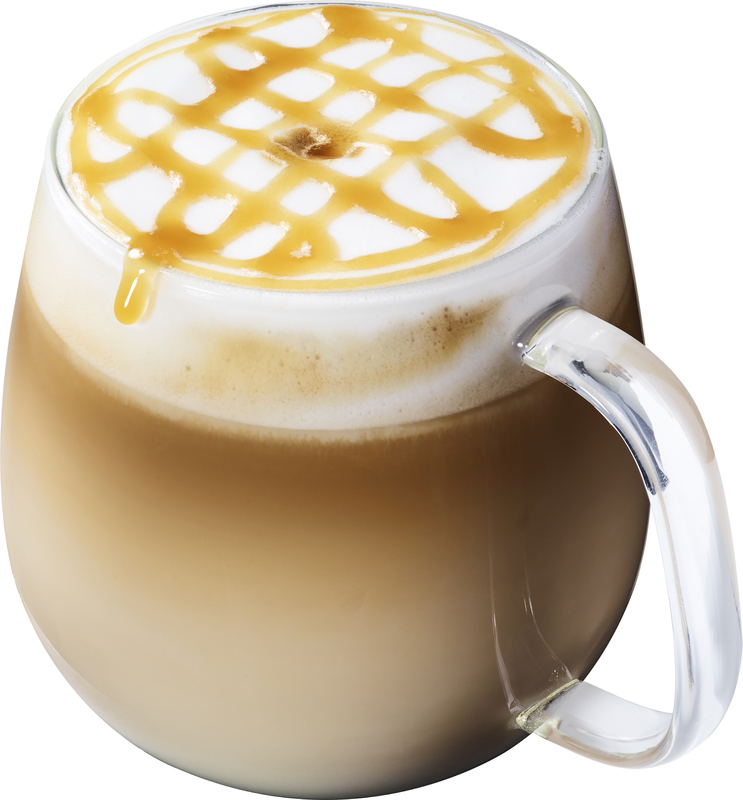 The Caramel Macchiato is available hot, iced and blended. In celebration of the cherry blossom season, Starbucks Malaysia has also planted Artificial Reality (AR) Sakura Trees in all its stores. Leveraging on Facebook’s AR Camera technology, Starbucks brings to life Japan’s famous cherry blossom trees into its stores through three phases: budding, in-bloom and full bloom. Customers in Malaysia can now witness the exquisite and graceful beauty of the cascading sakura, while sipping on their favourite springtime beverages. Returning Favourite! Ethiopia Bitta Farm – Grown in the Kaffa Zone of Ethiopia; the birthplace of coffee, the medium-bodied Ethiopia Bitta Farm permeates perfumed jasmine aromas with ginger spice and orange peel accents and has a medium acidity. Having previously featured both the sun-dried and washed coffees from the Ethiopia Bitta Farm, Reserve™ is delighted to feature this coffee farm’s beans for the third year. with layers of citrus flavour and a hint of cocoa. Try the classic Caramel Macchiato with almond or coconut milk priced at RM15.50 onwards and sip on the new Matcha Azuki Blossom Crème Frappuccino® and Azuki Blossom Crème Frappuccino® blended beverages which are priced from RM17.50 onwards. The already launched Starbucks Reserve™ Coffee Blends are priced at RM65 onwards. The Spring beverages are available in all stores nationwide now while stocks last. For more information, please visit Starbucks Malaysia's website at www.starbucks.com.my.